Several dairy farms in Connecticut have shut down and sold their cows in the past year because it is costing the farmers more to produce their milk than they can receive for it. This same situation exists in all the northeastern states. The price farmers receive for their milk as it leaves the farm is set by the federal government, but the price farmers must pay for everything they buy is set by the market. Every time a dairy farm shuts down we have less local milk available, so more milk must be brought in from other parts of the country. Dairy farmers in California are already advertising fresh California milk in the northeast, but how long does it take for the milk to travel the 3,000 miles to Connecticut? To reduce shipping costs, some farmers are proposing to concentrate their milk before it is shipped, then reconstitute it to whole milk by adding water when it reaches New England. Is this really fresh milk? Besides providing high quality locally produced fresh milk, our dairy farms are important to our economy. According to Penn State’s Center for Dairy Excellence, 85 percent of a dairy farmer’s income is spent locally and each farm dollar circulates 2.5 times through the economy in what economists refer to as a multiplier effect. Dairy farms also provide many full and part-time jobs, a valuable commodity in today’s economy. While we no longer see dairy cows in pastures, dairy farms still occupy the largers portion of our productive farmland. Today the cows stay in barns and feedlots and the farmer brings the feed to them. The cows can no longer be allowed to walk through wetlands or drink water from a brook because the Environmental Protection Agency has determined that the cows pollute the water with their wastes. Today dairy farmers own or lease 31 percent of the productive farmland in the Northeast. Another 20 percent of the farmland is used to produce hay, much of which is fed to dairy cows. Several bills have been filed in the Connecticut General Assembly and the other northeastern state legislatures to provide subsidies to the dairy farms so they can at least break even, but there is no certainty they will be passed given the budget crises in every state. The federal government is providing large grants and low cost loans to keep our American industries solvent. The Grange, along with other farm organizations, is lobbying the Congress to provide a better financial safety net for dairy farmers through the Milk Income Loss Contract (MILC) program. 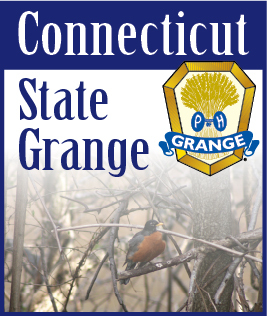 The National Grange will hold a legislative fly-in program on May 18 and 19 where members from across the country will have an opportunity to meet with their Senators and Representatives to promote both National and State Grange programs. The Northeast delegation will promote aid to our region’s dairy farmers so we can call continue to have locally produced fresh milk available in our stores. We are not doing this just to support our dairy farmers. We are doing it to support everyone, whether they live in the country, the suburbs or our inner cities.